A report issued by the United Nations’ Human Rights Council earlier this week concluded that both the Israeli government and Palestinian militants committed war crimes during the summer 2014 conflict that resulted in more than 2,200 Palestinian deaths—the majority of whom were civilians—and 73 Israeli deaths. 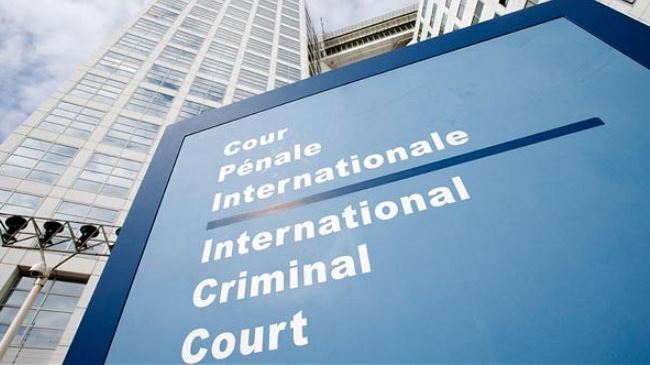 The report could further efforts by the Palestinian Authority to launch a formal war crimes complaint against Israel with the International Criminal Court, a strategy Palestinian officials already appear to be pursing. What do you think? Given the report’s findings, does the international community have an obligation to help resolve the longstanding conflict and prevent further civilian casualties? What if anything might be done to de-escalate tensions between Israel and Palestine? And is the Palestinian strategy of pursuing recourse through the International Criminal Court the correct one? Why? After failing to secure full membership in the United Nations earlier this month, the Palestinian government received approval from the UN Secretary General to join the International Criminal Court. Palestinian membership in the ICC opens the possibility of Palestine filing suit against Israel in the ICC, though such a move would likely provoke a sharp response from both Israel and the United States. Both countries opposed both full UN membership and membership in the ICC for Palestine. Recent moves by the Palestinian Authority signal a growing frustration with US-led negotiations, which have failed to produce significant results to date. The Palestinian government is seeking to pressure the US and Israel by using other international forums. For their part, both the United States and Israel have threatened to withhold funding for Palestine if it continues with such efforts, maintaining that a negotiated settlement is the only foundation for a lasting peace in the Middle East. What do you think? Is Palestinian President Mahmoud Abbas’ strategy of shifting the locus of attention from US-led negotiations to international forums like the United Nations and the ICC likely to increase pressure on Israel to move the peace process forward? How will the US and Israel likely respond? And will their responses be effective? The Palestinian government welcomed a new unity government, overcoming the longstanding divisions between the two major parties in Palestine, Hamas and Fatah. The new government welcomes 17 new ministers into office, selected as technocrats rather than political leaders. A new election (and accompanying government) will take place in about six months. While the United States welcomed the announcement and said it would work with the new Palestinian government, the Israeli government responded by announcing a new round of settlements in the West Bank. What do you think? Will the new Palestinian government be more effective in negotiating with the Israelis and the Americans than the previous government was? Or will progress in the Israeli-Palestinian peace talks continue to be elusive? Secretary of State John Kerry was forced into damage control mode after off-the-cuff comments warning Israeli leaders that the country risks becoming an “apartheid state” if it continues to fail to address the Palestinian question. The evocation of the phrase “apartheid”—typically used to describe the system of state-enforced racial segregation legally mandated in South Africa until 1994—touched off a firestorm. Critics of Israeli policy, including former President Jimmy Carter, have regularly described Israel as an “apartheid state.” But both the US and the Israeli governments have objected to the term’s use in this context. Setting aside the question of whether or not the term “apartheid” is appropriate in this context, it seems clear that Kerry’s remarks highlight ongoing challenges in the Obama White House in normalizing relations with Israel. The breakdown of the Israeli-Palestinian peace process last week was just the latest example of the slow rate of progress in addressing the question, and highlight in particular the inability of US policymakers to influence both Israeli and Palestinian decision makers as the peace process moves (or does not move) forward. What do you think? Will Kerry’s comments undermine the Obama Administration’s efforts to move forward with the Israeli-Palestinian peace process? 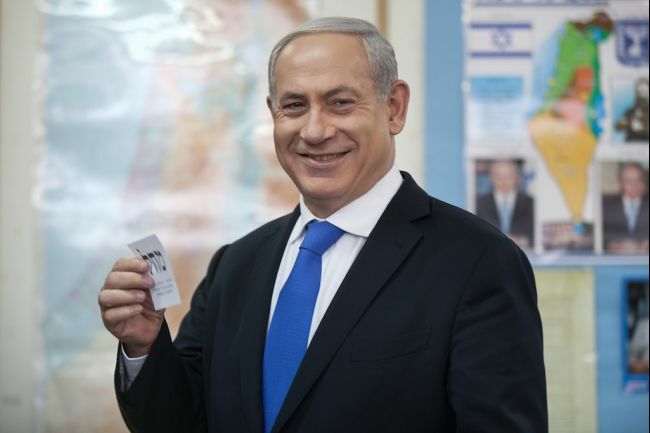 Israeli Prime Minister Benjamin Netanyahu casts his vote on Tuesday. Elections were conducted in Israel on Tuesday, and the results paint an interesting picture for the future of Israeli politics as well as for Israeli-Palestinian negotiations. Pre-voting polling suggested that the ruling center-right coalition would be returned to power. But that was not to be. While Prime Minister Benjamin Netanyahu’s ruling Likud Party won a plurality of seats in the Knesset (the Israeli parliament), their right-wing coalition partners suffered sharp setbacks, and progressive center-left parties had an unexpectedly strong showing. Two questions emerge. First, who will form the coalition. While suffering a sharp setback, it appears that Netanyahu should be able to retain control of the government, albeit the composition of that government remains unclear. Like many parliamentary systems, post-election negotiations are required to form a majority in the government. In these negotiations, parties trade positions and policy promises, all with the hope of influencing decisions by the new government in their favor. The defeat of Netanyahus’s current coalition partners means that he will likely have to find common ground with more centrist parties to form a government. Two parties performed far better than had been projected in pre-election polling. The center-left Ysh Atid Party came in a surprising second, with 19 seats, while the Labour Party came in third with 15 sets. Any coalition between Likud and the center-left parties would require a radical rethinking of Likud’s platform, particularly around the question of Israeli settlements in the West Bank and the status of Israeli-Palestinian peace talks. Given the difficulty of these questions, it seems likely that such a coalition would focus on domestic issues rather than tackle the more difficult foreign policy questions. What do you think? Will the new Israeli government be more or less inclined to pursue peace talks with the Palestinian Authority? Take the poll below or leave a comment and let us know what you think.